Hastings Attorney Kerri Selleck is in line to be Barry County’s first Chief Public Defender. 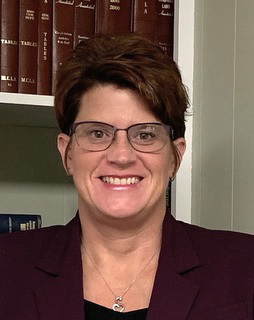 The Barry County Board of Commissioners committee of the whole Tuesday unanimously recommended Selleck for the position, part of the county’s compliance plan with the Michigan Indigent Defense Commission Act. The act proposes minimum standards so all county legal systems providing indigent defense meet constitutional obligations, work with counties to implement compliance plans to meet the standards and award state grants to county systems to bring them into compliance with the new standards. “We needed to up our game …we’ve gone through the process to provide better (legal) representation for people who can’t afford it,” Commissioner/Chair Ben Geiger said. Barry County indigent services can access resources they couldn’t before; they will be able to get most of the resources available to prosecutors, she said. The Chief Public Defender responsibilities include: managing the assigned counsel contracts, implementing, monitoring and maintaining compliance with MIFC standards, oversight and reporting on implementing the standards and grant accounting. One of the differences Selleck said is that she or another attorney will be at an arraignment and bail setting for everyone accused for a crime, big or small, something that has not been the case in the past. The position to head the program was advertised state-wide. Based on resumes submitted, interviews, and background checks, Selleck is recommended for approval for the post at the Barry County Commission’s Dec.11 meeting. Selleck holds a Bachelor of Arts degree in criminal justice and public law from Western Michigan University and a Juris Doctorate from the University of Dayton School of Law-Dayton Ohio. Included in her resume were letters of recommendation from Hastings Attorney Nathan Tagg and former Barry County Prosecutor Gordon Shane McNeill. Both praised her dedication, fairness, integrity, saying she is absolutely qualified and would do a fine job heading the Indigent Defense team in Barry County.